Should We Adjust Housing For Inflation? I’ve inflation-adjusted housing in some of my charts over the years but it always felt like a double dip since housing is a huge component (42%) of the measurement of inflation. The issue came up again with last week’s excellent WSJ article on our Manhattan housing figures – adjusted for inflation, housing prices were equivalent to 2004 levels and not adjusting for inflation brought prices to 2006-2007 levels. So I reached out to my friend Jed Kolko, the Chief Economist and Head of Analytics at Trulia who had some thoughts about the issue. [Jonathan] Is it appropriate to inflation adjust housing prices? I don’t see this done all that often and always wondered if it was appropriate since housing prices (i.e. rental equivalent) are a huge part of the inflation calc? [Jed] You’re right, that housing prices are an important part of inflation, so it’s a little odd to deflate housing prices by a measure that includes housing prices. [Jonathan] So when would it be appropriate? [Jed] The context when it does make sense to inflation-adjust housing prices is when looking over a very long time horizon – like decades – when dollars clearly meant something different than today. In particular, analyses of home prices versus price changes of other assets (like equities) are often (and should be) inflation adjusted in order to show the real return on investment. [Jonathan] So when would it not be appropriate? [Jed] The context when it’s definitely not appropriate is when comparing home prices across different cities/metros/regions. Measures of local inflation are hugely driven by home prices, and even local differences in the prices of other things, like restaurant meals or haircuts, are driven largely by local differences in real estate costs. Inflation-adjusting when comparing local home prices is a case of dividing something by itself. The better way to compare housing prices across metros relative to spending power is to divide home prices by income or wages. 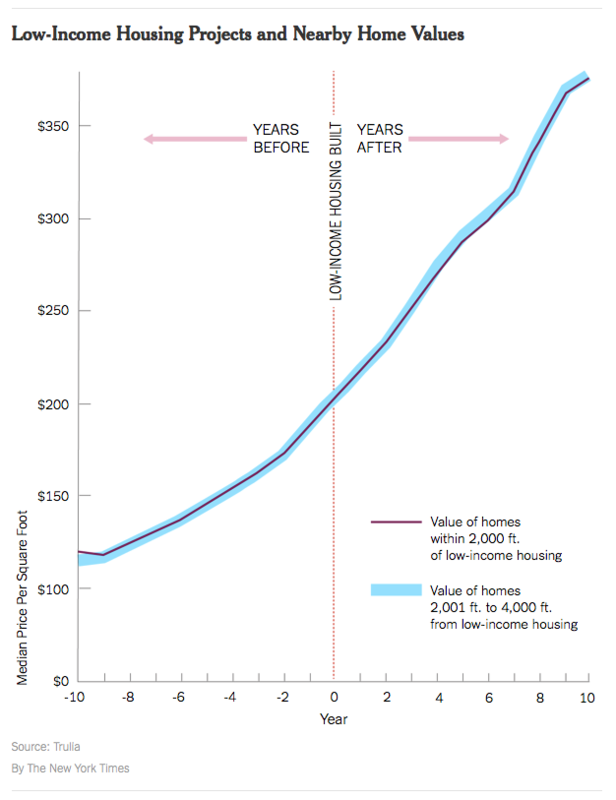 I did exactly that in this post, as a measure of affordability. 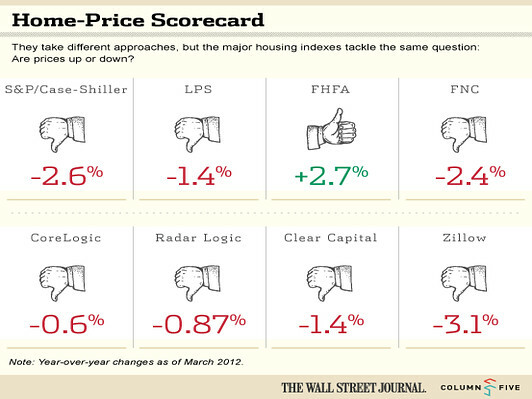 Comments Off on Should We Adjust Housing For Inflation? Trulia released its Price Reduction Report for June 2010. 22 percent of listings currently on the market in the United States as of June 1, 2010 experienced at least one price reduction, which is a slight decrease from 23.6 percent in June 2009. The total dollar amount slashed from home prices was $26.7 billion and the average discount for price-reduced homes continued to hold at 10 percent off of the original listing price. Last month (May) I speculated that the number of listings with price reductions will rise sharply after the tax credit expiration flows through the numbers. Pete suggests the same thing in this release. Is something happening in Minneapolis? For the second month in a row, Minneapolis, MN saw 40 percent of its listings reduced in price. At 21%, the luxury market (>$2M) is consistent 22% for the overall market. * Price reduction levels for luxury homes (those listed at $2 million and above) continue to hold steady with 21 percent of homes seeing a price reduction, averaging 14%. Luxury homes account for 2% of the inventory and 25% of total dollar volume cuts. It consistent with the overall weakness at the high end of the US housing market brought about largely from the higher underwriting requirements for jumbo financing and the disappearance of the secondary jumbo mortgage market which had largely been run through the capital markets. I was somewhat surprised to see Phoenix in the top five since price reductions had been so severe over the past 4 years. Ever since I introduced my Manhattan Rental Market Overview last year, I’ve been playing around with price/rent multipliers and concluded that something has to change. Either prices need to fall or rents need to rise in order to get out from under the credit fueled ownership premium buyers were paying during the boom. I used median sales price versus median rent (annualized). Trulia created the Trulia.com Rent v. Buy Index that is based on the 50 largest US cities by population and divides the average listing sales price by the average listing rental price using 2-bedroom apartments, condos and townhomes. At the peak of the real estate bubble, cities like Miami, Phoenix and Las Vegas were not affordable for many. Now the opposite is true,” said Pete Flint, co-founder and CEO of Trulia. “Home sellers in these hard hit areas are forced to lower their prices to compete with all the foreclosures on the market. As a result , these unattainable markets are so affordable it makes better financial sense to buy than rent. That’s the theory since affordability is now so favorable to purchasers – however the problem with some of the former speculative markets which are now very affordable to buyers, is the fact that financing isn’t readily available because of shadow inventory and significant oversupply. There was so much overbuilding back in the day that there aren’t enough buyers now and the mortgage lending net is not cast nearly as wide. Today I Iistened in to an informative conference call hosted by Trulia’s co-founder and CEO Pete Flint and RealtyTrac‘s Rick Sharga. As always great stuff, and I got to act like a reporter and ask a question – lots of reporters were on the line. More on my question in a later post. Pete commented that as we go into a housing market of declining government support, foreclosures will continue to become an integral part of the housing market – loan mod programs were not making an impact on foreclosure volume. Rick suggested the “short sale” phenomenon was over hyped because it will not solve the significant foreclosure problem. Foreclosures will peak in 2011 and then return to normal levels by 2013. 5.5M properties in serious delinquncy, 100k new foreclosures per month with a 55 month supply. 59 Percent of homewoners with a mortgage would not consider walking away from their home no matter how much their home is “underwater”. Trulia released its Price Reduction Report for May 2010. The May report showed that the percentage of listings with at least 1 price reductions is rising – now for two consecutive months. I suspect that once confident sellers are softening to meet buyers who are holding to their number. I would think that for us to see the number of discounts rise during the most active time of the year, the market is cooling. We would expect the number of discounts to fall during this period. It will be interesting to follow this metric once Trulia is able to compare year over year this summer. I think that this metric will rise sharply in a few months after the tax credit expiration flows through the numbers. Pete suggests that we may be in for some turmoil ahead. Luxury Market Unfazed by Tax Credit Incentive Price reduction levels for luxury homes (those listed at $2 million and above) continues to hold steady from last month with an average discount of 14% in price reductions. The average discount for homes priced less than $2 million remains at 9 percent. Trulia released its Price Reduction Report for April 2010 and press release. The report indicated that the number of price reductions and the size of reductions are beginning to abate. CEO Pete Flint, nails my sentiment on this “good news” with pin point accuracy (ie lots of headwinds over the next year so lets not over-hype the good news). The table seems to show that markets that saw large price declines early on have less price reduction activity now suggesting that, at least for now, their markets don’t have large swaths of listing price declines ahead of them as properties approach market value. I do believe that the likelihood of additional declines in the US housing market in the latter half of 2010 are very possible give the factors that Pete cited in his quote above. Still, its better news than we’ve grown accustomed to and we’ll take it for now.